It is with tremendous sadness and a feeling of great loss that I relay the news of the passing of Lark Galloway-Gilliam Director, Community Health Councils, founder of South Los Angeles Alliance of Neighborhood Councils, past president and board member of the Empowerment Congress West Area Neighborhood Development Council, activist, mentor and friend. Lark succumbed to her illness on Monday, December 1, 2014. Lark has been a driving force in South Los Angeles and a constant go-to person within the Neighborhood Council system. Her advocacy and policy work in public health, economic development, healthcare coverage for children and families and other quality of life issues has resulted in great wins for South Los Angeles and communities at-large, including an unprecedented Space Shuttle Agreement that secured $100,000 in grants funding for science education and $400,000 for tree trimming among other concessions. My staff, Taneda Larios, who has worked with her for many years remembers her as a "soft-toned, gentle force that commanded attention and respect but was thoughtful of her approach, available to nurture Neighborhood Council board members and determined and dedicated to her mission. I will miss her greatly." 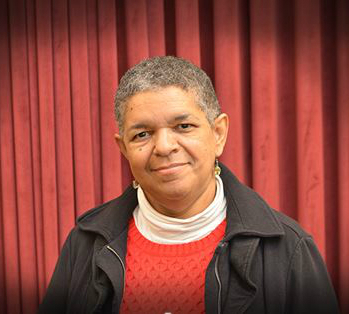 The Department of Neighborhood Empowerment mourns the loss of an advocate, a mentor and teacher and a champion of social justice as we say farewell to Lark Gilliam Galloway. Lark will be fondly remembered by everyone whose life she touched and those who directly felt the impact of her work, efforts and kind nature. Lark will be sorely missed, but we find comfort in knowing that, as a true leader, she promoted and fostered leadership qualities in those around her so that the work of the community would not stop with her passing, but continue and grow in the hands of others who shared her vision. We are fortunate to have been part of Lark's vision and will carry her memory close in our hearts. "South Los Angeles lost a very important person. She was a very good friend of mine and I don't know who we are going to get to replace her. I hope her family is ok, and I hope that she rest in peace." "This is a sad moment in history. Lark was a great leader for South Los Angeles and the Empowerment Congress West Area Neighborhood Development Council. As a new Chair, I learned so much from her, interacting with her and watching her as she lead in our area. She is such a blessing to others, her passing let me see how important it is to fulfill your purpose in life. We have to continue the mission of making our community healthy, safe and viable for future generations. I send my condolences to her family and I will continue to keep them in my prayers." "I will always remember Lark as a tireless activist and community leader who insisted on all children in our communities having access to healthy food and as a promoter and protector of our cultural gem, Leimert Park. We will miss her but honor her memory by remaining vigilant on quality of life issues for South Los Angeles, a community she so fiercely promoted and protected." "She was brilliant and dedicated to her causes." With the passing of Lark Galloway-Gilliam the City and South Los Angeles has lost a tremendous champion. Her work as the founder and executive director of the Community Health Councils put health and equal access issues at the forefront of Public Policy discussions and activism. She created an organization that moved community issues to adopted program solutions. As such she was the perfect mentor for the South Los Angeles Alliance of Neighborhood Councils (SLAANC). Lark provided leadership, vision, organizational support and logistical capacity which all helped SLAANC to grow and express its voice. That legacy will go forward. Lark Galloway-Gilliam will be remembered as a friend, mentor, or advocate. To me, she was a hero. She wore purpose as casually as her favorite shirt. I watched her tackle huge dilemmas like ongoing blight at Marlton Square and the potential loss of South LA's forests on Crenshaw and Martin Luther King, Jr. Boulevards using a simple approach - everyone can move a mountain, even if by just one stone at a time. She orchestrated personalities and cut through time-wasting blame to direct people, organizations, and the City. Her demeanor never seemed to be about brandishing the glory of 'I won this', but about efficiently finding a solution because a wrong was wrong and was not going to be allowed to stay wrong. Lark was stern and resolute when she needed to be. She fought passionately for her causes and her Stakeholders. But she was never one to withhold an honest 'Thank You' or acknowledgment of her opponent's personal concession. She was kind. There are few people in this world who are as unashamed as Lark was to show humanity. I admired the way Lark listened, highlighted by the questions she asked. She always seemed to hear a deeper message in a presentation, or maybe years of experience had sharpened her ears. She could laugh in disbelief, or be genuinely tickled. She was funny and self-effacing. And, in her words, "a copious note-taker." I've worked with some of the wonderful young people at Lark's Community Health Council. They're all so bright and so smart. They have a keen understanding of the world around them, and are using their individual toolkits to build a better, more equitable place to live. I've been fortunate to know and worked beside her, and to have benefited from what her efforts have done for my Community and South LA. I will miss seeing her at important meetings and presentations. Lark will always be my role model for how to effect change while remembering that it's people, not their organizations, that make all good things happen. Very sad news came to Reseda, and the world, this week. Nancy Sweeney, the President of Revitalize Reseda, has passed away. Nancy has wrapped her arms around the community of Reseda in a way that may never be matched by any efforts again. The love, care and energy she has put into the revitalization of a neighborhood that has struggled over the years will be an eternal legacy of great achievement to be celebrated, and going forward hers will be a truly profound loss. Among so many individual efforts Nancy has made in our community, she was a major catalyst in turning the American Cancer Society's Relay for Life into one of Reseda's most important annual events. Ultimately, Nancy lost her own battle with cancer, but along the way there are countless people who have been able to take advantage of the services and opportunities the American Cancer Society provides because of her efforts to help raise awareness, and the over $100,000 cumulatively raised toward fighting the terrible disease. As you drive through the central business district at night on Sherman Way and Reseda Blvd. throughout this holiday season, take a moment to notice the annual holiday decorations lit up to bring a sense of joy into our neighborhood and join us in being extraordinarily grateful for the incredible work she did to assure this tradition continued year after year. This is a bright and illuminated remembrance of Nancy's commitment to improving the quality of life in Reseda. Nancy's passion for volunteerism and her ability to inspire Reseda to believe in a revitalized future is a truly wonderful gift that our new generation of community volunteers will strive to emulate for years to come. We are deeply saddened by her loss and immeasurably grateful for her dedication and years of service to our community. Family, Friends and associates will gather for a Celebration of Nancy Sweeney's Life on December 12 at the Warner Center Marriott Hotel, 21850 Oxnard St, 4:30 PM. If you would like to attend, please RSVP to rcpools@aol.com. West Hills lost a good friend this past week. Marilyn was one of the Founding Members of the Winnetka Neighborhood Council where she worked on the Public Works and Transportation Committee, the Youth Committee, and the Outreach Committee, reaching out to members of our Community to get more involvement in the public affairs of Winnetka. She served as the Chair of the Community Outreach Committee, Vice-Chair of the Youth Committee, and as the Board's Parliamentarian. 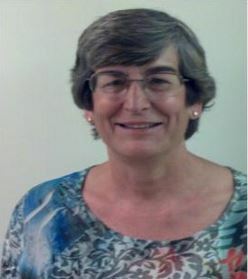 Marilyn also served as Board liaison with Valley Village, our Community's center for challenged young adults. Marilynn's simple yet powerful goals goal keep Winnetka a safe and beautiful Community in which to live. It is with sadness that I adjourn in memory of Marilyn Robinson. Marilyn passed away suddenly last Sunday. I first met Marilyn in 2009 when she was introduced to me as the Princess of Winnetka. 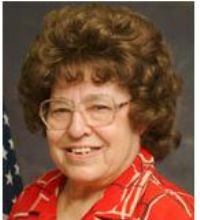 She was a volunteer extraordinaire as a member of the Winnetka Chamber of Commerce, the Winnetka Neighborhood Council and the Winnetka Neighborhood Watch. She was a long-time resident of Winnetka and she cared about the future of this great community. Marilyn's passion was helping kids and she did that through each of these organizations. She spearheaded the annual Oktoberfest at Winnetka Park. This was not your typical Oktoberfest, but an event to raise money for youth. Marilyn was so close to the police department. She could get the Commanding Officer or Deputy Chief of Staff out to any event and moreover worked with them to provide donations for prizes at so many of these events. member of the Winnetka community. That gave us a lots of opportunities to make local issues state issues. It was a proud moment when Marilyn came to my inauguration. From then on she worked with so many of my staff. I will miss Marilyn. The Princess of Winnetka. May she rest in peace. I'm saddened by the loss of these community leaders and trust you will join me in honoring them by reflecting on the work they did, the lives they enriched, the people they inspired and the communities that will continue to benefit from their legacy for generations to come.